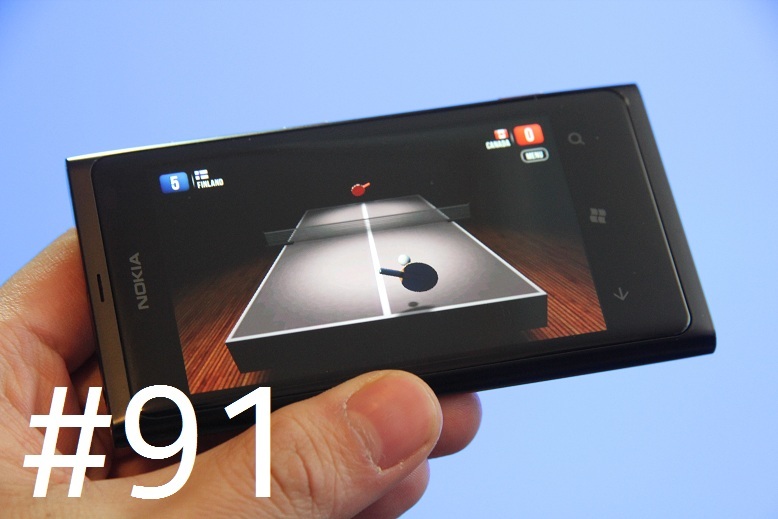 Here’s a neat little Ping Pong app for your Nokia Lumia called Ping Pong Seven. With this you can play in a tournament or just a single friendly match. Choose your country and battle it out against a randomised set of countries in tournament mode or pick a country in the friendly mode. You’ve got a 3D ping pong table of sorts and you just use your finger to swat the paddle and it will react to things like the angle and speed at which you hit. I did find it a little odd that the ping pong paddle sometimes drifted away from your finger and that even the handle can hit the ball. Ping Pong Seven is an amazing 3D version of the classic Ping Pong game. You can play challenge or complete tournaments with your favorite international team, with different skills level and unlock achievements in the 3 difficulty levels of the game.